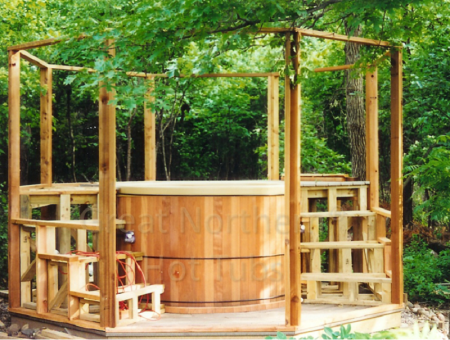 5' diameter x 44" depth cedar Rubadub Tub® in a 12'x12' Basswood gazebo. 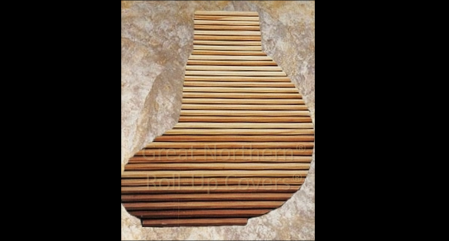 Beautiful Roll-Up® custom-built hard wood spa cover is strong enough to walk on even across a 12-foot span. 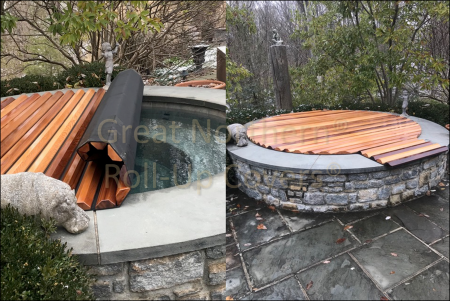 This custom-ordered 12’ wide Roll-Up® Cover adds visual variety and elegance to this stone-trimmed spa. 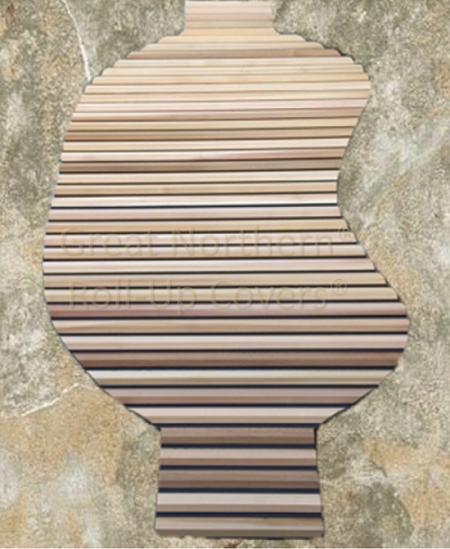 See more info on our covers. 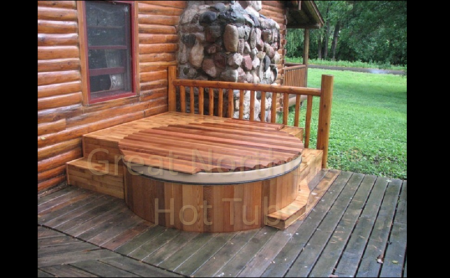 Cedar hot tub built into a perfect deck for taking in all of the surrounding nature – day or evening. 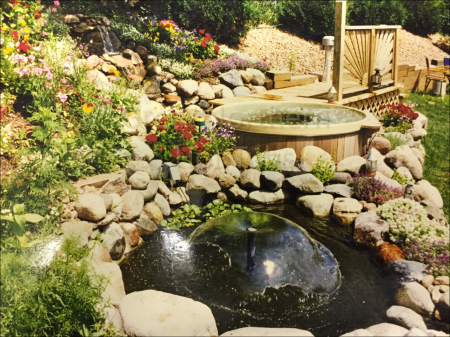 This 6' x 44" Rubadub Tub® installed in the stairway landing makes it accessible from both the ground or the second story of the house. 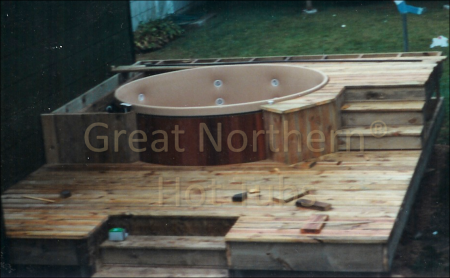 The project was designed around the hot tub. 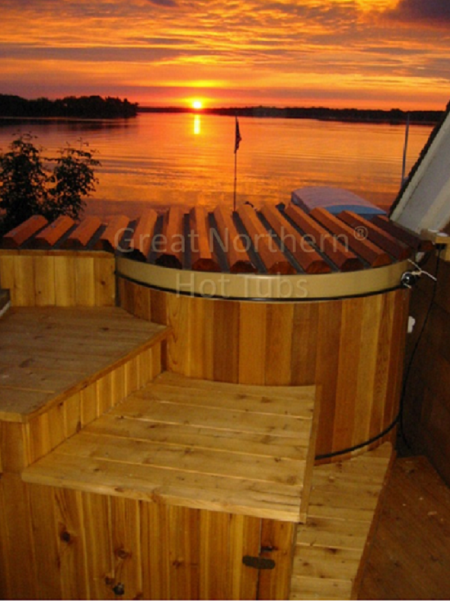 Great Northern® Rubadub Tub® with beautiful stepped deck overlooking Lake Minnetonka at sunrise. 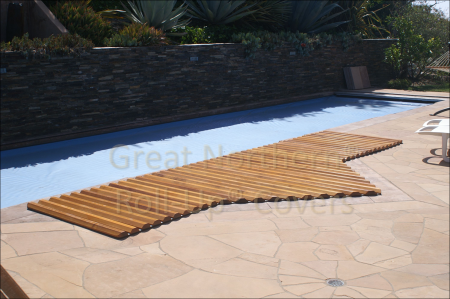 Another GN Roll-Up® Cover solving a design and safety challenge for a spa built level to the ground. 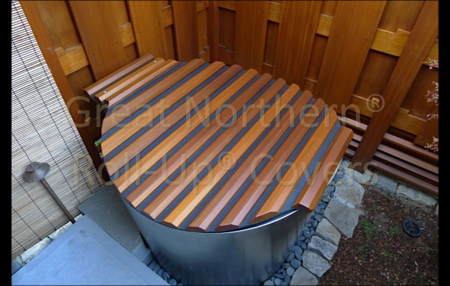 Traditional redwood hot tub in a Japanese-like rock garden. 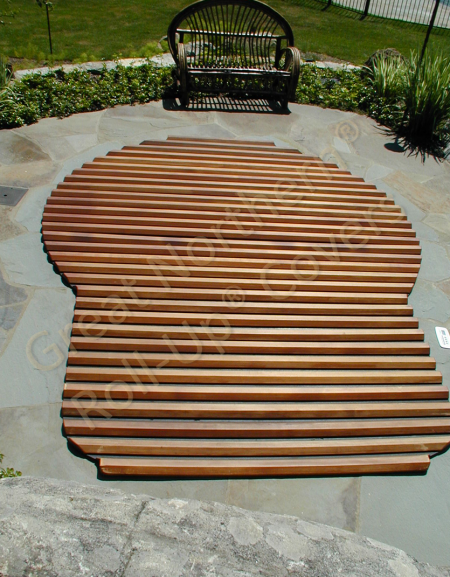 Custom kidney shaped Roll-Up® Cover for an in-ground spa. 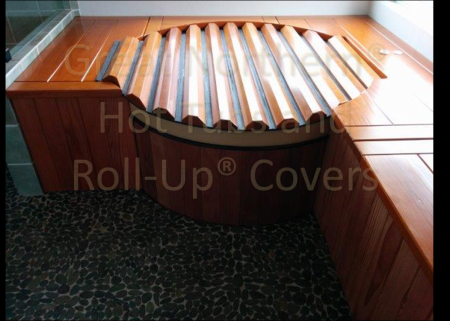 Call us for a quote on a cover for your spa. 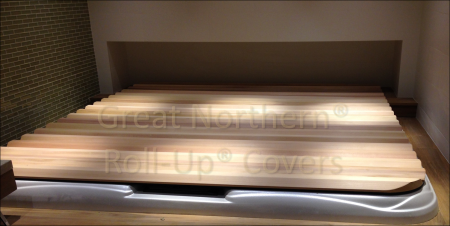 Very strong Great Northern® Original Roll-Up® Cover. 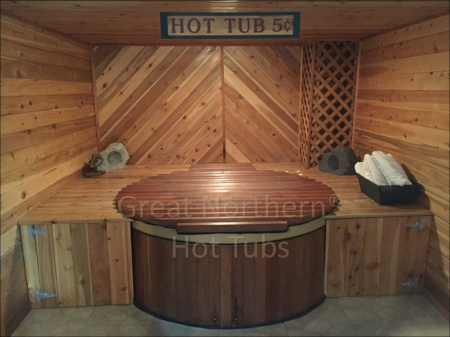 This great looking cover rolls up quickly and is conveniently stored next to the tub. 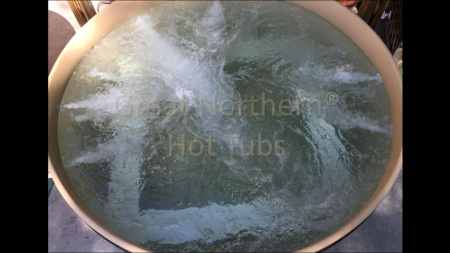 Great Northern® bubbler system operating at full throttle. 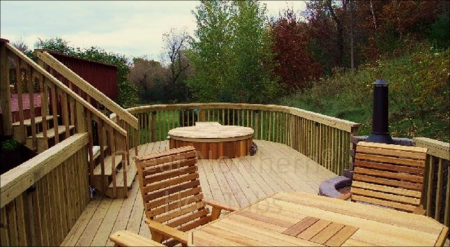 It’s relaxing just looking at it. 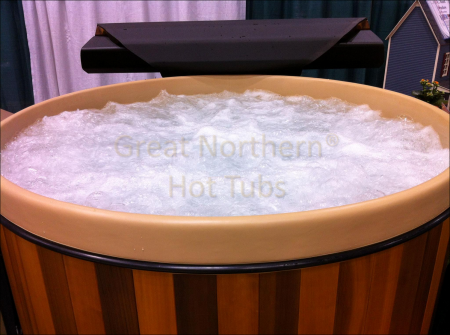 Great Northern® can custom build a Roll-Up Cover® for those uniquely designed spa. 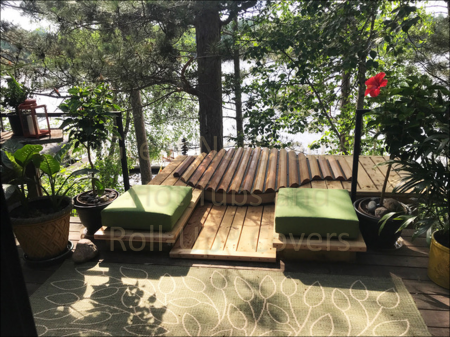 We do not charge additional for custom designs, send your design to us and we will work with you or your contractor to build a Roll-Up Cover®. 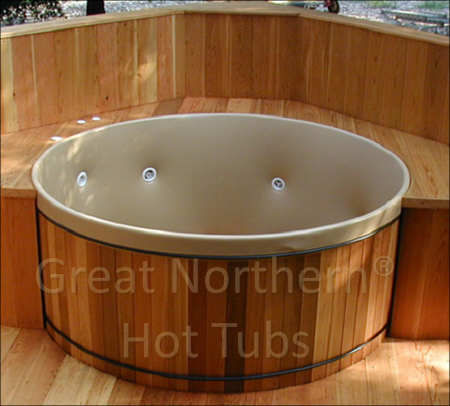 Indoor round cedar Rubadub Tub® with modular steps and surround seating. 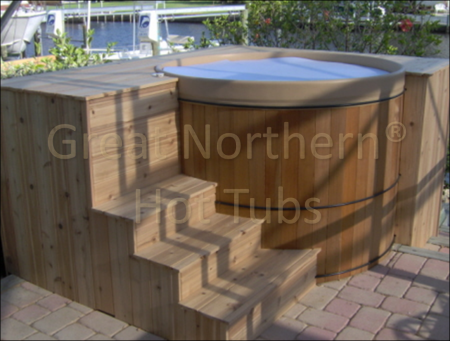 Indoor installation of Rubadub Tub® hot tub with steps, flush seating and a cabinet. 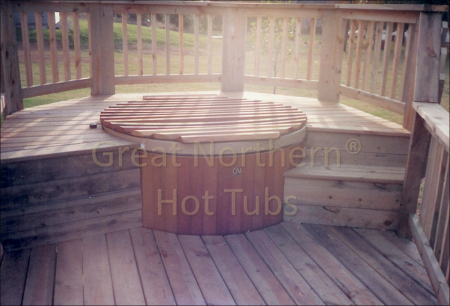 Great Northern® Rubadub Tub® hot tub recessed into a large backyard deck. 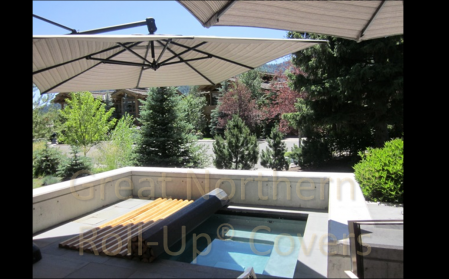 Custom Great Northern Roll-Up® Cover is a functional and attractive addition to this poolside, in-ground spa. 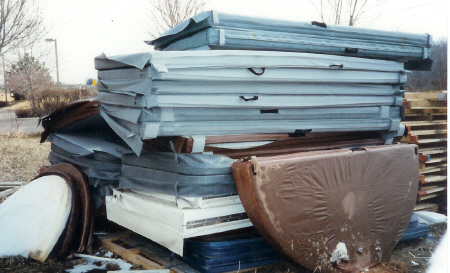 Learn more about our Roll-Up® Covers. 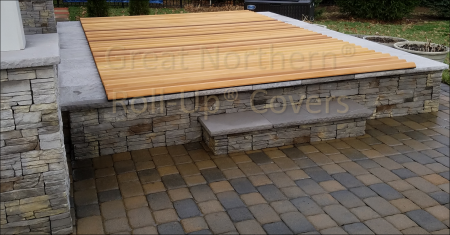 108" diameter Great Northern Roll-Up Cover® on a custom in ground spa. 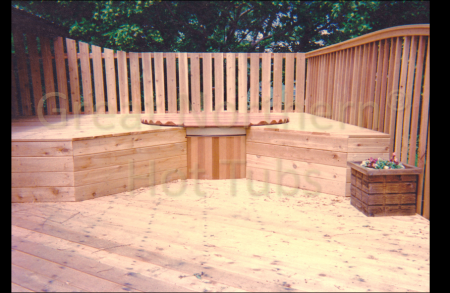 Build your own personal seat in our systems, the options are endless in jet layouts ideas. 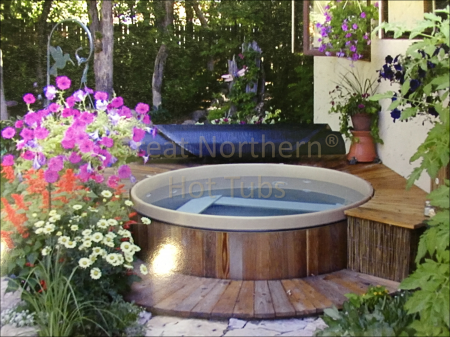 Rubadub Tub® hot tub installed in the corner of a family room, surrounded by a small deck for easy seating and topped off with a matching Roll-Up® Cover. 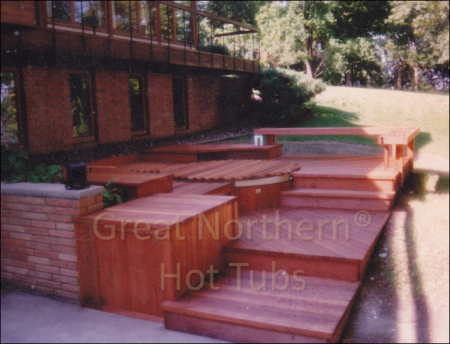 Rubadub Tub® and Great Northern’s Roll-Up® Cover in a 2-level deck with steps. 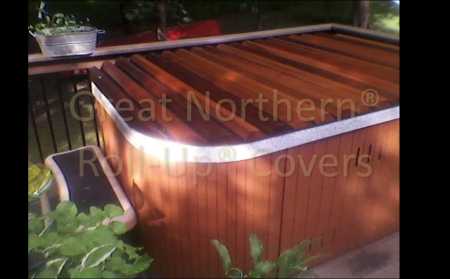 Great Northern Roll-Up® Cover custom made to fit a molded rectangular fiberglass spa. 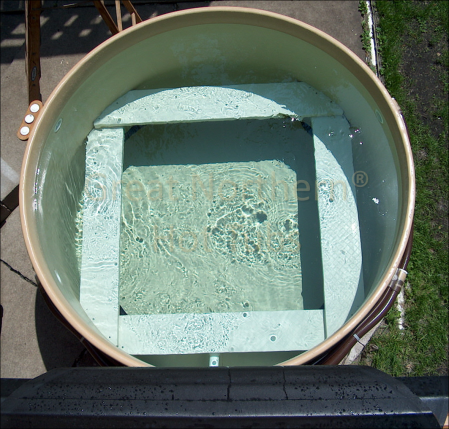 Learn how to measure for a custom cover. 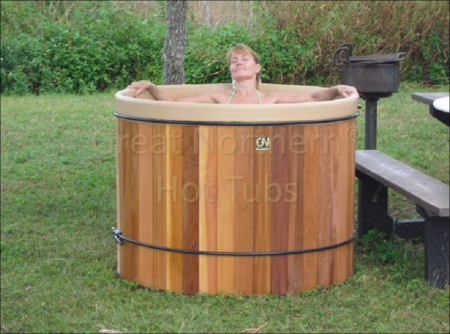 Rubadub Tub® round wooden tub in a free-standing portable deck in a Florida backyard. 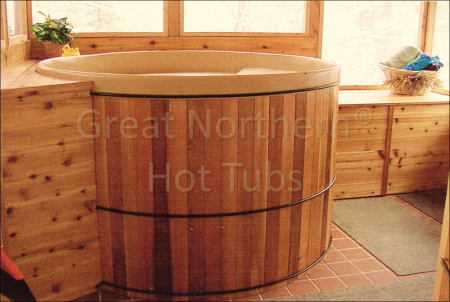 Lightweight and easily portable Rubadub Tub® is “ovalized” to fit through a doorway. 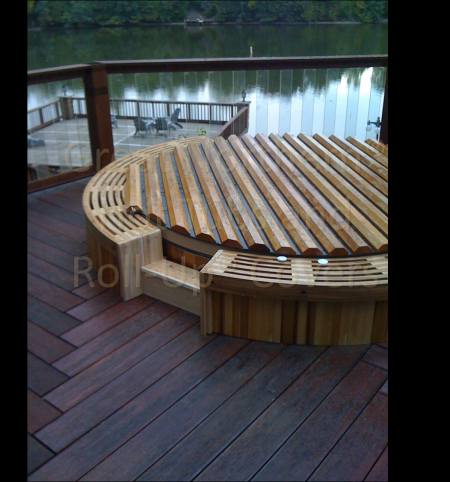 Rubadub Tub® and Roll-Up® Cover in a large 2-level deck with flush seating. 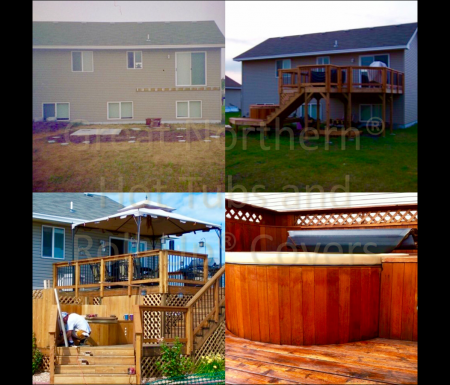 Small two-level deck project surrounding the hot tub. Almost done! 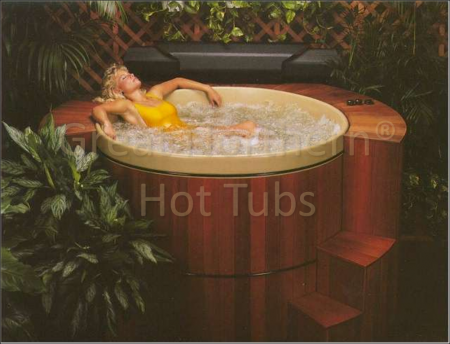 Rubadub Tub® hot tubs have jets placed where you want them and adjustable-height bench seats. 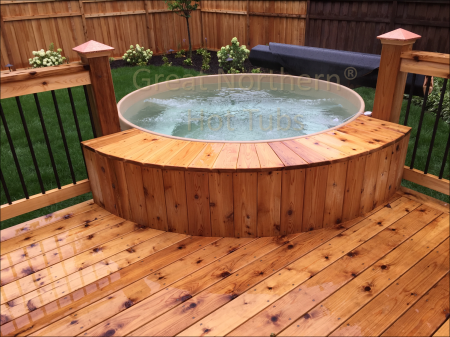 Rubadub Tub® with flush-seating deck with back rest surrounding half of the tub and showing customizable jets in an outdoor setting. 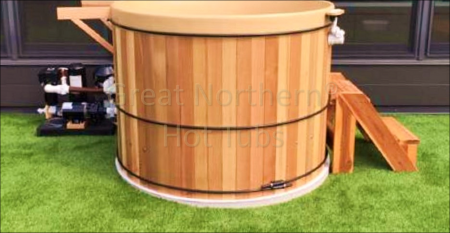 Do-it-yourself gazebo project with a Great Northern Rubadub Tub® as the main attraction. 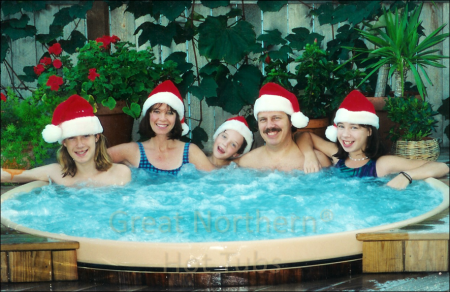 A 5'x44" Rubadub Tub® with ten teenagers packed in. 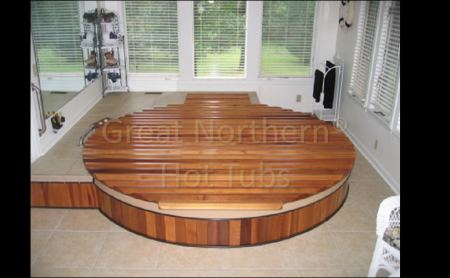 Top view of a 7’x44” Rubadub Tub® with 7 regular jets and 1 monster jet on for display. 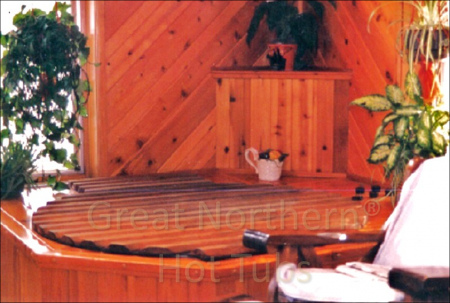 Placement of all jets is customizable to customer’s preference. 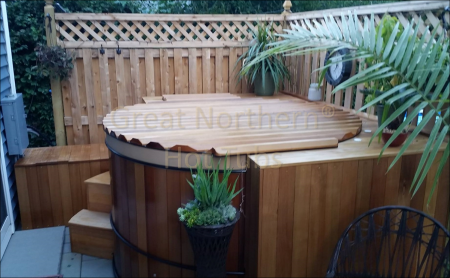 Large and deep Great Northern® hot tub used for therapy and exercise sunken in floor for easy entry and exit. 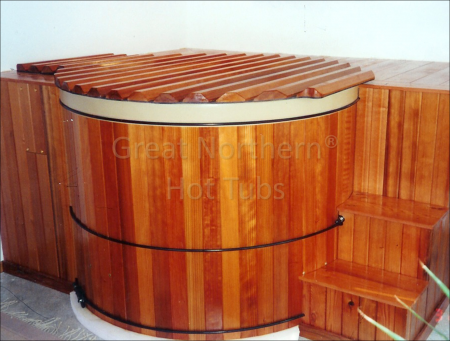 The strong, wood, walk-on Roll-Up® Cover is easily rolled up and stored next to the tub. No lifting is involved! 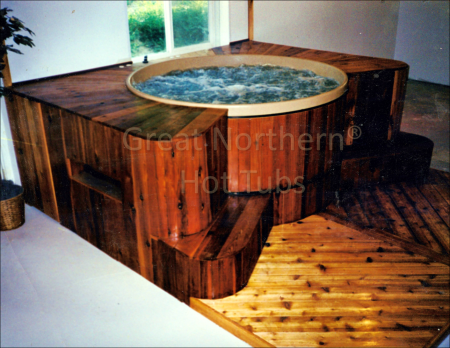 An interior view of a large exercise and hydrotherapy tub, showing bench seats that also serve as steps to enter and exit the 6’ deep tub. 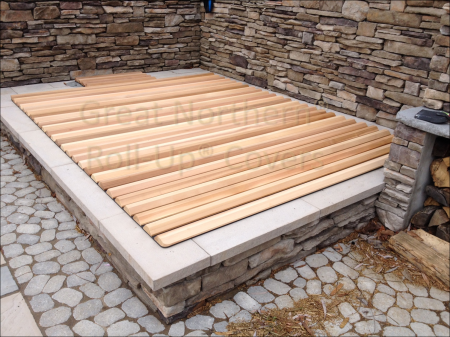 A Great Northern fully insulated Roll-Up® Cover on a custom in-ground stone spa. 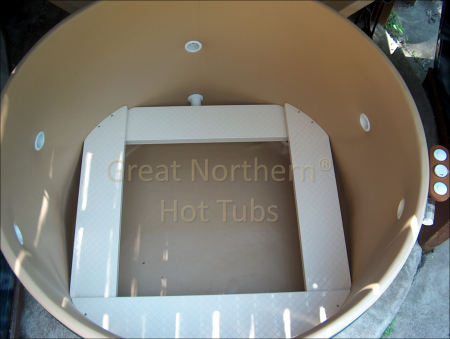 The cover is strong enough to walk on, yet easily rolls up and stores at the end of the tub. No lifting! 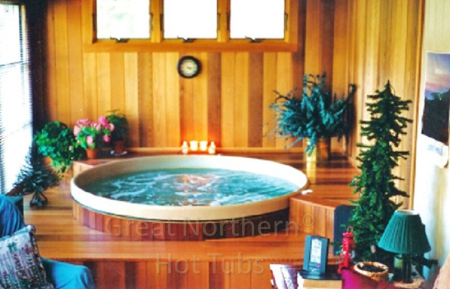 Rubadub Tub® in 5' dia. 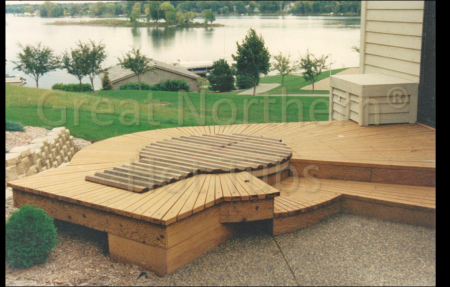 x 44" depth with standard equipment pack outside Minneapolis, MN penthouse. 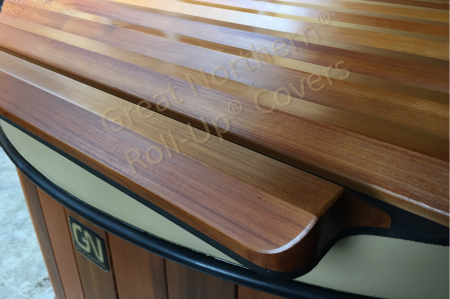 Close-up shot of a Great Northern, fully-insulated, solid wood Roll-Up® Cover. Great looking and strong. 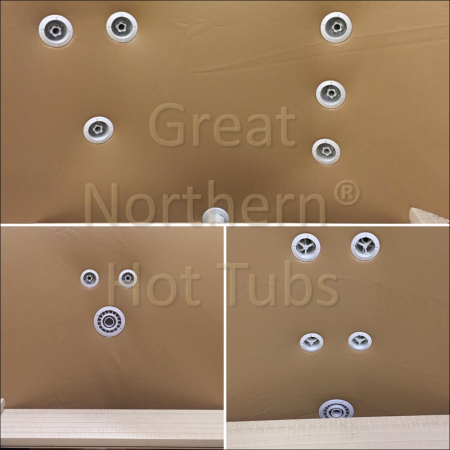 No more lifting waterlogged foam covers! 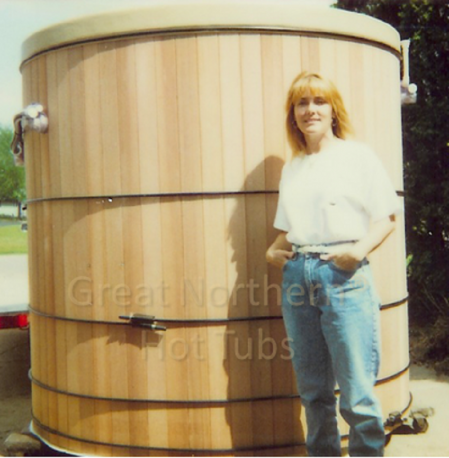 6' x 44" Rubadub Tub® with surround seating added by this hardworking farmer after hot tub installation. 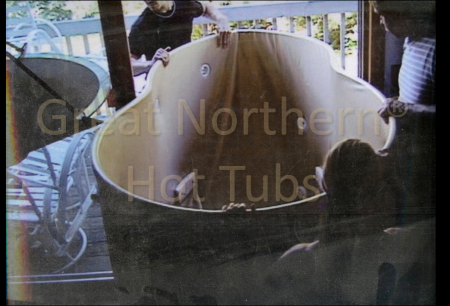 Two piece spa Roll-Up Cover® for a custom built in ground hot tub. 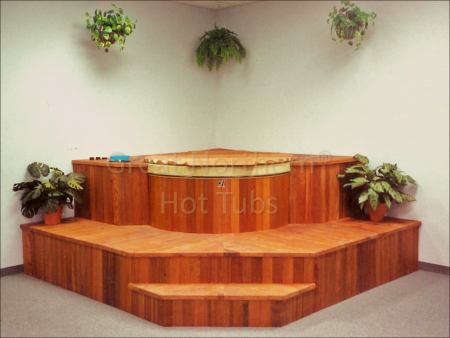 The two pieces meet in middle and roll to opposite ends of the spa. 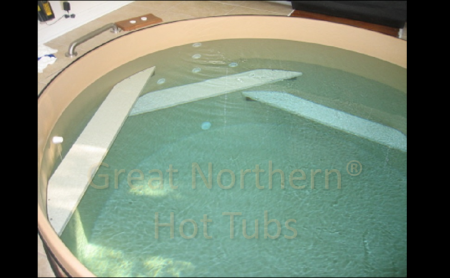 Avoid dealing with the short lifespan of foam spa covers. 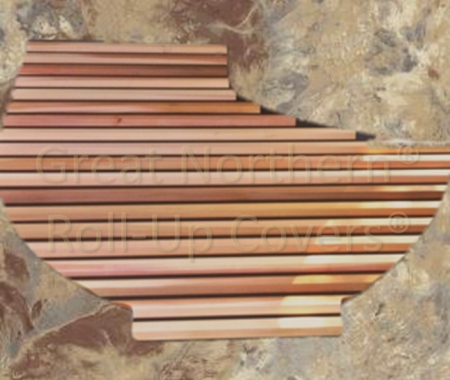 Great Northern’s strong, fully-insulated, wood Roll-Up® Covers never need to be tossed out.